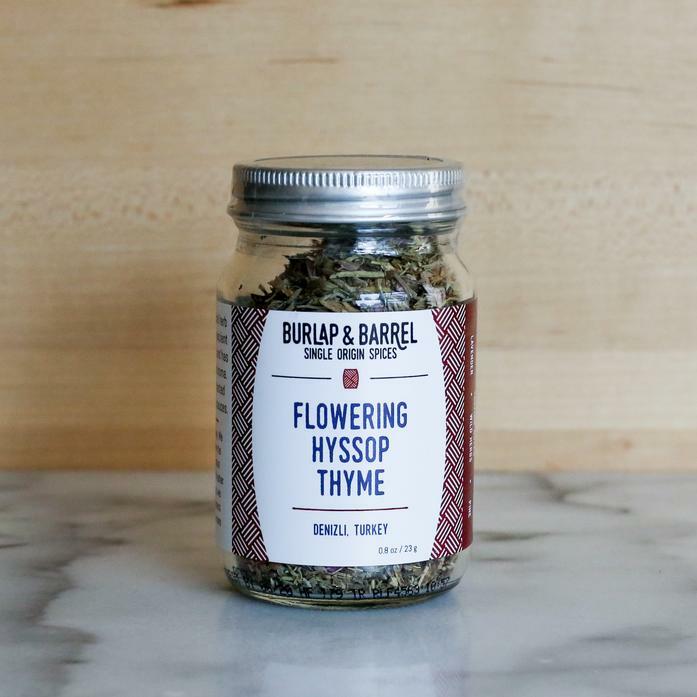 Our flowering hyssop thyme is a very special herb only grown in the Middle East. It has an ancient history of culinary and medicinal usage, and has a beautiful floral, herbaceous flavor and aroma. Use it in place of regular thyme with roasted chicken, grilled vegetables, and tomato sauces. Each order contains one 0.8 oz jar.